Last week I spent two amazing days at the Georgetown University Womens’ Forum. 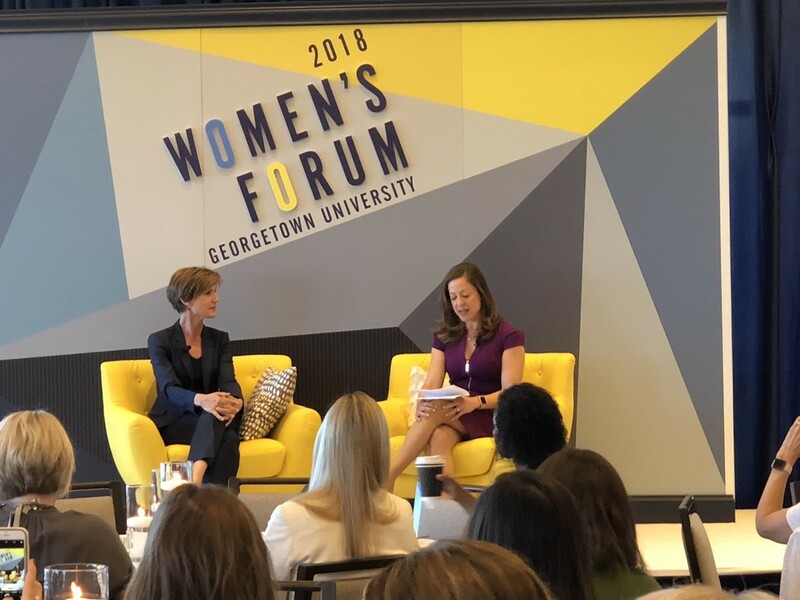 The event kicked off with a conversation with Sally Yates and wrapped up with a conversation on Women in the Media moderated by Greta Van Susteren. These two conversations bookended inspiring and thought provoking conversations on Feminism as a Personal and Professional Identity; Disruption, Innovation and Entrepreneurship; Uncovering your Unconscious Bias; Fireside Chat with Ashley Merryman and Exploring the NextGen of Work with Katherine Londergan, Cynthia Lopez, Kelly Otter, and Faye Ricci. – Actual conversation, whether its face to face or over the phone, is always going to trump text, Slack or whatever other mediums may exist – don’t shy away from it. – Start from a place of openness and curiosity by asking complex, open-ended questions. If you don’t know how, you may want to read Leading with Questions by Michael J. Marquardt. – Be authentic in your interactions. Your personal values should drive your decision making and your personal exchanges. Make time to get to know what drives, inspires and motivates the people around you.